Growing up and even during his college years, Alex LaPratt had his eyes set on becoming a doctor. Like many, while trudging through higher learning he supported himself by working in restaurants, and there wasn’t much doubt that medical school was the next step after graduating college. Instead, he made a total U-turn and ultimately wound up becoming a Master Sommelier and restaurateur in New York City, opening a duo of Brooklyn restaurants — Atrium DUMBO and Beasts & Bottles. Not once has he regretted choosing popping corks over prescribing pills, “even on the bad days,” he says. As an ambassador for Ribera y Rueda, Alex’s expertise as a Master Sommelier comes in quite handy. He was always familiar with the regions, but a recent trip there gave him an on-the-ground perspective of just how far the regions have come — and how much more potential is there. 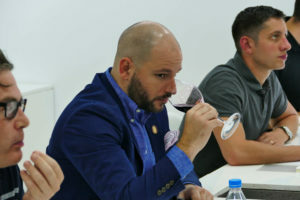 Plots of land aside, LaPratt is equally excited about his work with Ribera and Rueda because they’re both perfect fits for the American wine palate in their own unique ways. With Rueda, LaPratt goes one step further when it comes to the quality-to-price ratio. The Ribera del Duero and Rueda wine regions of Spain have announced Brahm Callahan as their newest brand ambassador. The Master Sommelier is beverage director for Boston-based Himmel Hospitality Group.